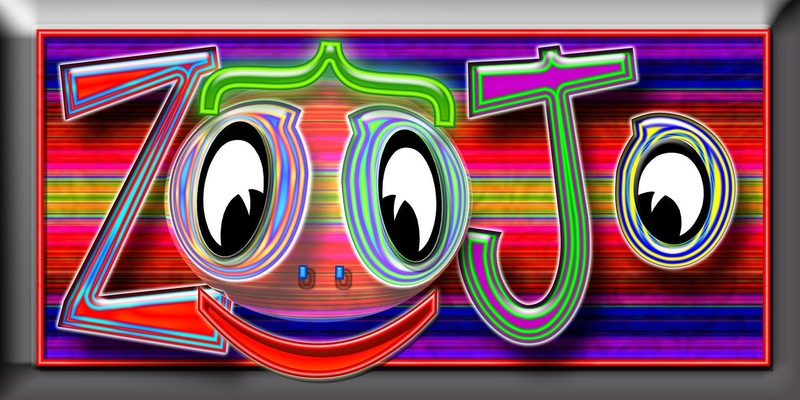 "Zoojo," a cute, catchy, and memorable name, would make a great brand for a product line or services for children: clothes, toys, games, shoes, daycare, themed restaurants, cartoon characters, TV shows -- the list is endless. "Zoojo" could also be a fun humor site, either for kids or just general humor. Indeed, we had fun with this logo just because "Zoojo" is an all-around fun/funny word. In essence, Zoojo is primarily a visual term: internet, TV, print. If you plan to use radio spots extensively for advertising your product or service, you should probably select another name for your brand or company name. "Zoojo" and its variations ("Zoo Jo," "Zo Ojo," "Soojo," "Soo Jo," and "So Ojo"), do not appear in the USPTO.gov data bases.